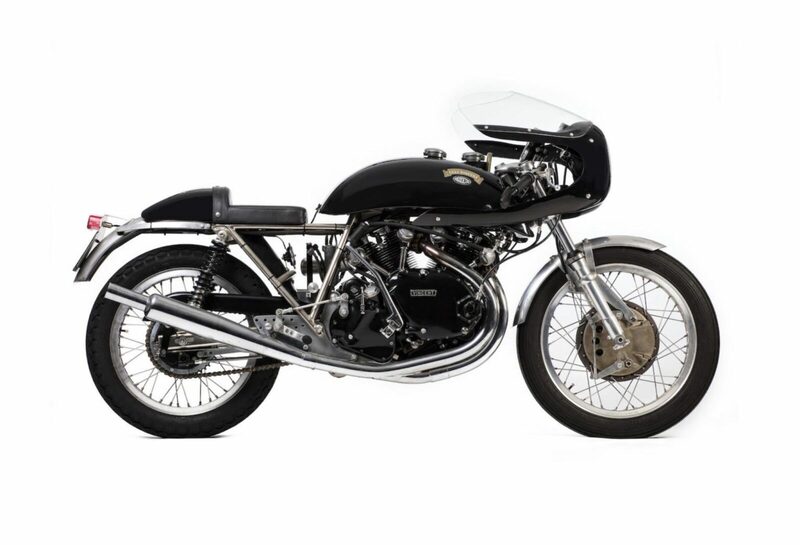 The Egli-Vincent has become so famous since it was first developed in the mid-1960s that its name now almost rivals the Vincent marque itself. 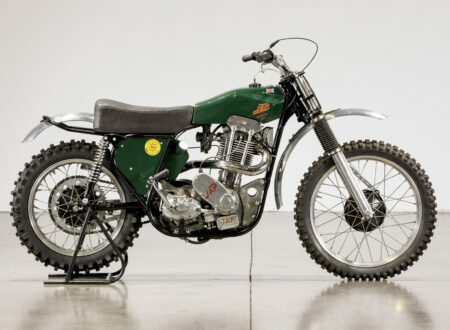 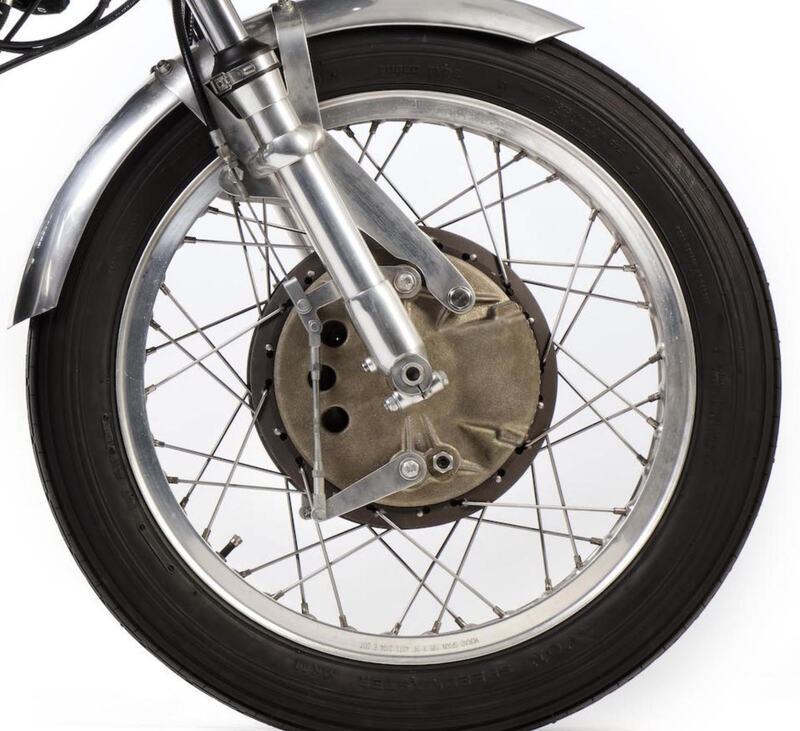 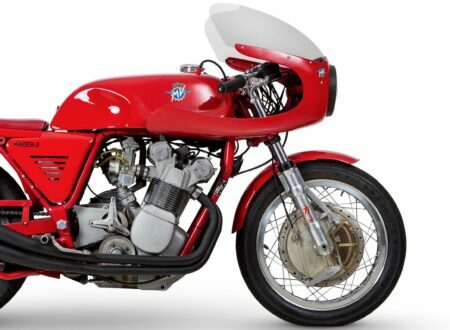 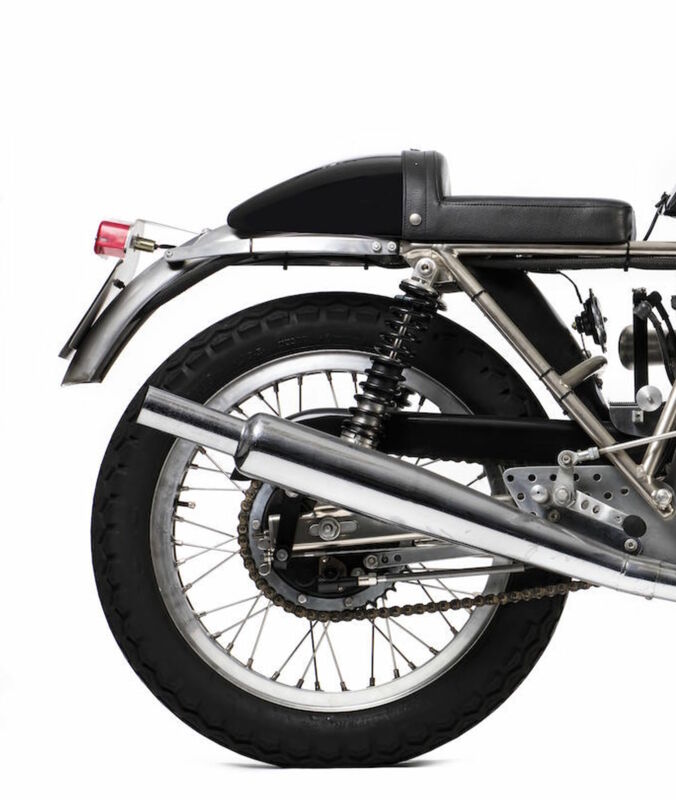 Developed by Fritz Egli of Switzerland, the original Egli-Vincent was his own race bike, a bike he used as a testbed for his own engineering experiments. 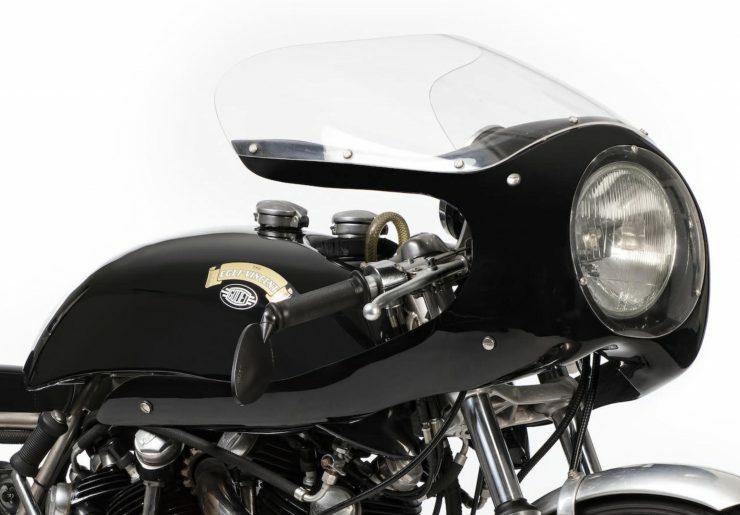 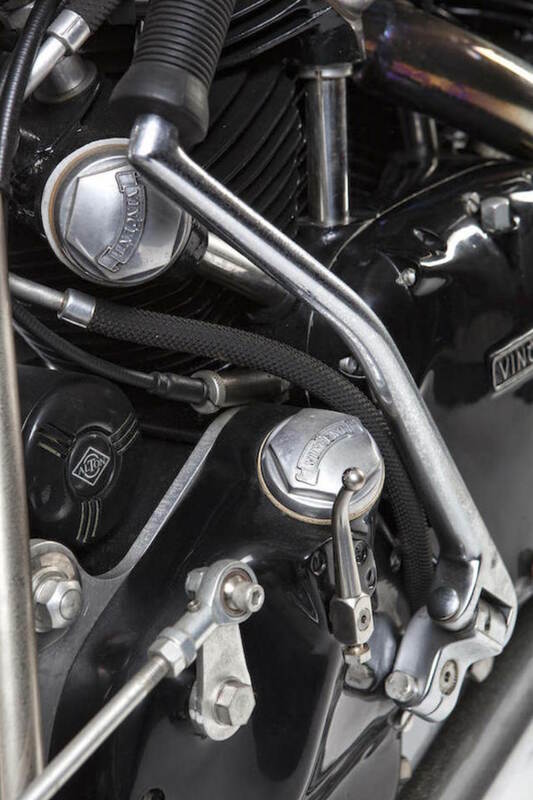 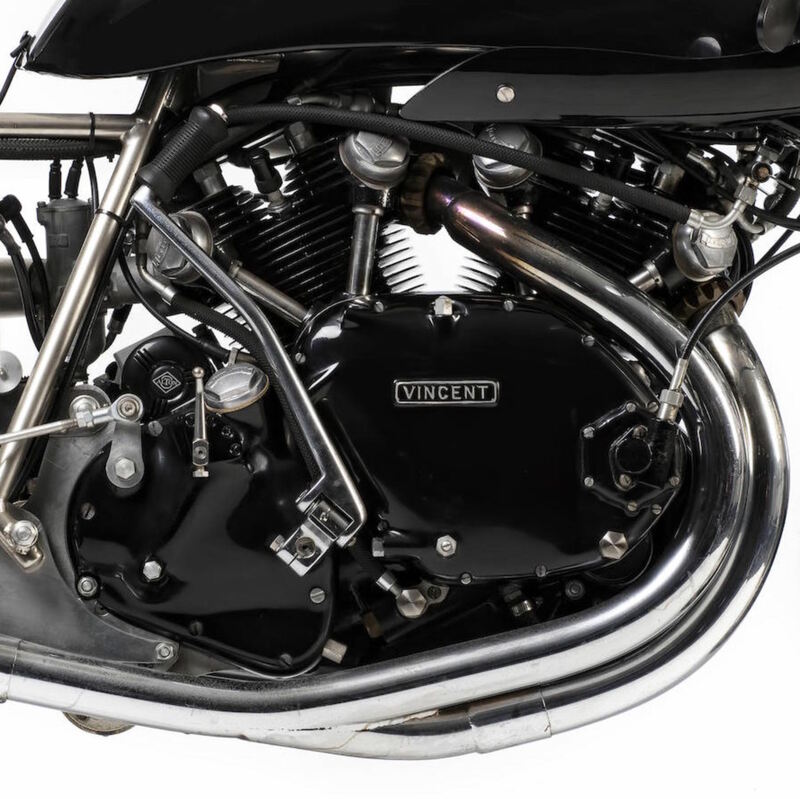 The main drawback to the original Vincent Blackshadow was that the engine was significantly more capable than the frame that held it – leading to flexing and other issues you really don’t want on a motorcycle capable of speeds in excess of 125 mph. 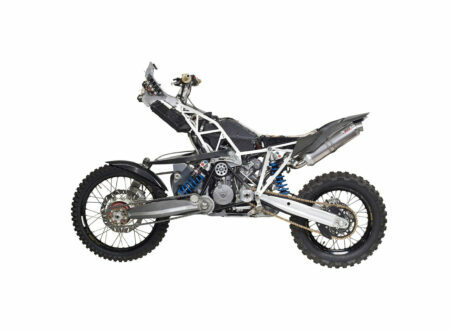 The frame in question is a backbone type chassis that sits atop the engine and uses the V-twin as a stressed member. Fritz’s idea was to remove it and replace it with a much thicker, stronger backbone that would reduce or eliminate flexing. Fritz was right, and with his newly framed Vincent he won the Swiss Hill Climb Championship in 1968 – winning every round in a convincing fashion. 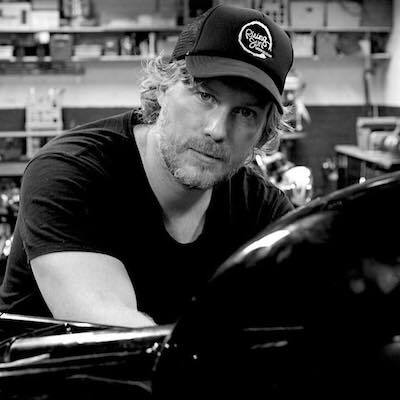 Before long, Fritz Egli was inundated with requests from other Vincent owners to built them new frames to unlock more performance from their now 20+ year old motorcycles – he complied and built a number of Egli-Vincents, before eventually turning his attention to other motorcycle engines that also needed some new frame engineering. 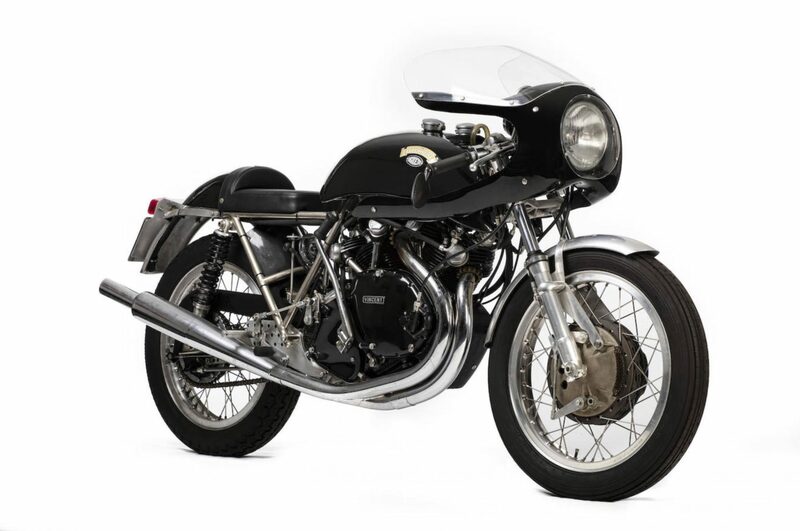 Patrick Godet picked up the mantle of Egli and continued to make frames to this new more rigid specification, his work was personally inspected by Fritz and Patrick remains the only person in the world with official approval to build Egli frames. 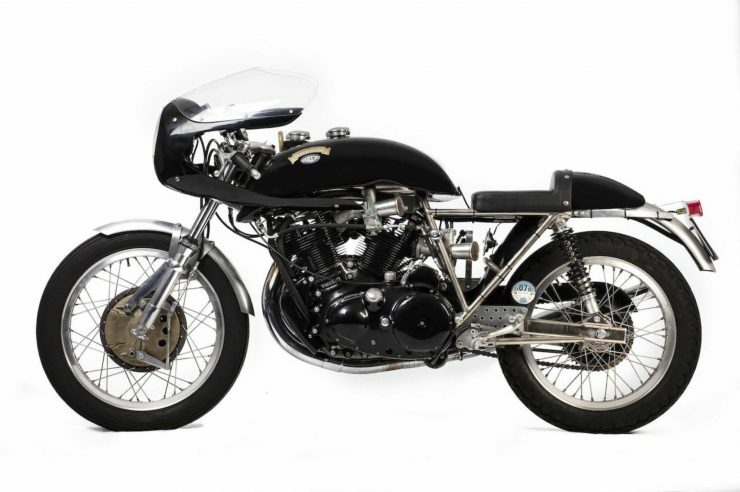 The Egli-Vincent you see here is the work of Patrick Godet and his small team, it was completed in 2004 using a newly rebuilt 1968 Vincent engine an transmission. 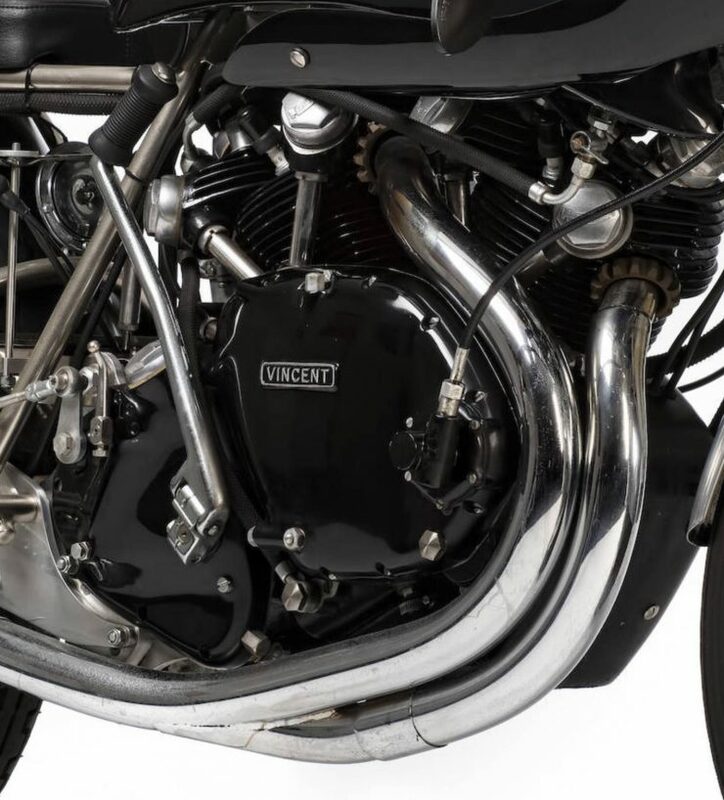 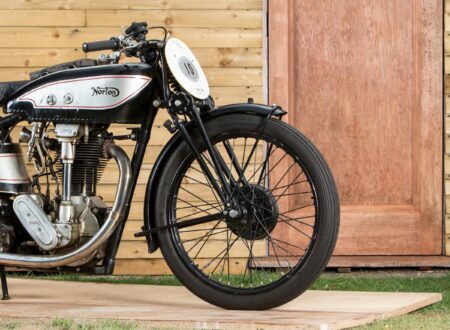 It’s one of the finest iterations of the Egli-Vincent ever made, and it’s half fairing, single seat, and large front drum give it the perfect proportions for vintage racing. 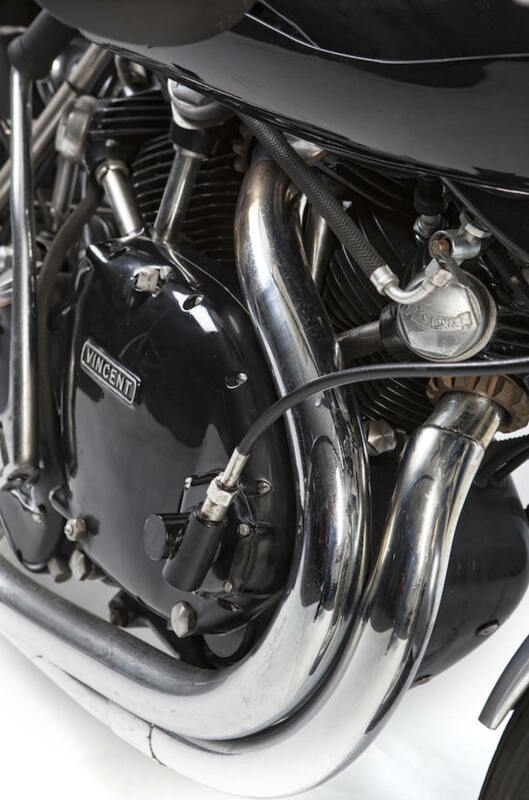 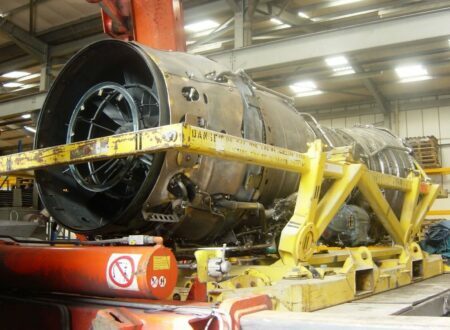 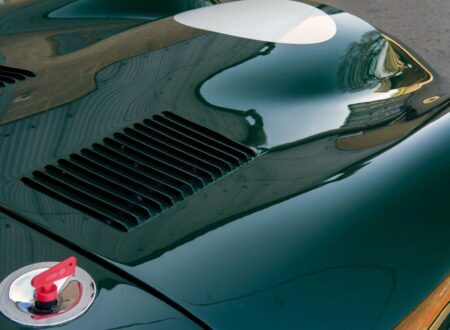 It’s due to be auctioned by Bonhams on the 16th of September with an estimated value of between £25,000 and £30,000, if you’d like to read more or register to bid you can click here.